Visit the SPBRC Women's Racing Facebook page. Alix is a Cat 4 cyclist. She took up cycling in 2013 as a way to nurture her competitive spirit. 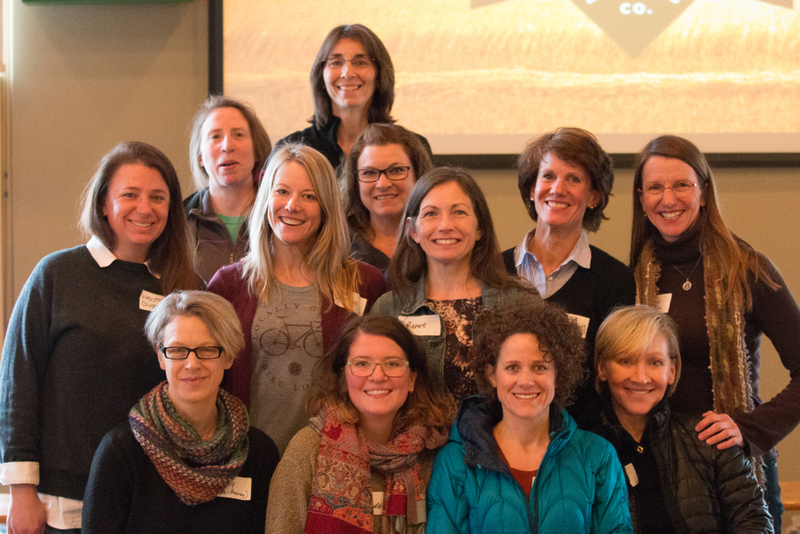 Last summer she was lucky to be mentored and encouraged by a couple of strong women riders. In 2015 she competed in her first road race, Firehouse 50, and fell in love with the challenge and excitement of racing. She is excited to get into crit racing, road racing, time trials, and anything involving riding with the inspiring and supportive people that make up SPBRC! When not on her road bike she can be spotted riding around her Mac-Groveland neighborhood on her cruiser with her husband, Ben, and two kids (ages 4 and 7). Melissa is a Cat 2 cyclist who competes on the road and on the track. 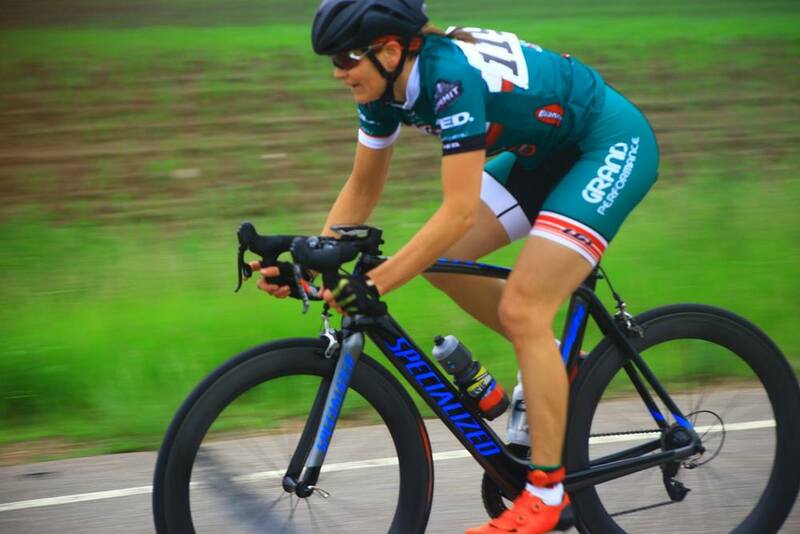 After starting on the velodrome, she was inspired to take up road racing after moving to the Twin Cities and discovering the joys of group rides, where people encouraged her to give racing a try. Melissa's favorite events are time trials. The rest of the year, Melissa trains for and competes as an ice speedskater at a national level, and at an elite international level as a Masters (30+) skater. Heather is a Cat 3 cyclist who loves crits. She met Dan Casebeer when she was a junior racer, and first raced for the club in the early 90’s. She served on the SPBRC Board for 4 years. She plans to be at the road and track races this season cheering on the team. Lydia is a cat 4 cyclist excited to start her second year of racing. She has been riding bikes since she can remember but only just discovered the joys of racing. She competes on the road and in cyclocross. She also likes to get involved in the many gravel rides Minnesota has to offer. She loves going on GP group rides and meeting all of the great people in the club. You can find her working at Grand Performance drinking too much coffee. Angie is a cat 2 cyclist from Alexandria, MN. She started cycling to honor her dad by riding the MS TRAM. After experiencing the thrill of a paceline she began racing. She is an all-around racer in her 7th season of road racing. She is excited to be a part of the SPBRC & have teammates for the first time in her career. Chris (above right) has been riding and racing with SPBRC since 1996. She loves mountain biking in the summer and fat biking in the winter. Currently she is training for the Leadville 100! Amy is a Cat 3 cyclist who has been racing since 2007 and enjoys all venues of cycling from road, cross, gravel, off-road endurance, bike commuting, and recently mountain biking. 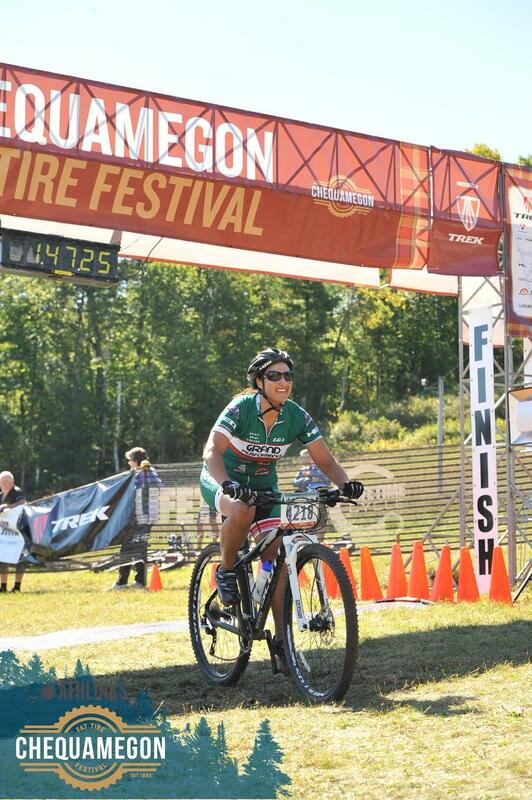 Amy had a Top 3 women's podium finish for the 2015 Chequamegon; and placed 1st in age group in 2013 & 2014 for the Short & Fat. 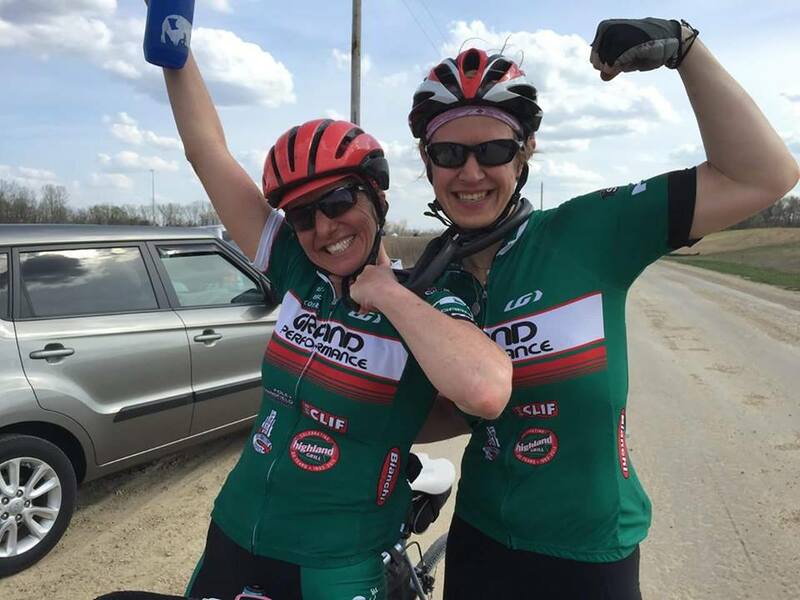 This 2016 season, Amy has her sights on the epic "Leadville 100 Mountain Bike," the Dirty Kanza 100, and the Chequamegon Fat Tire 40. Her modus operandi is to "Give it your very best" and keep smiling. Amy is a feral cat...well, okay, a cat 4 racer, but still not housebroken. New to racing this year after dabbling in longer distance triathlons, she wanted to try a new challenge. So here she is, happy to be welcomed by the amazing pack of racers and women that is the Grand Performance team. Like everything else in her life, she'll try anything once--road, gravel, fat-bikes, anything. When she's not on a bike she loves being a mom to her three kids and a physician. Looking forward to fun this year! Sue is a founding member of St Paul Bicycle Racing Club (board member for 8 years), developer of the Beginner Race Program curriculum, and longstanding women's team director. Following many regional and local wins in road, mountain, and velodrome, in 2001 she won the USACycling Masters National Criterium. She now has four grandchildren and remains active in the club when she is not singing tenor in the St Paul Cathedral Choir. Kit is a Cat 3 cyclist primarily interested in long distance self-supported riding called Randonneuring. She has Super Randonneured (200K, 300K, 400K, and 600K in calendar year *for MN Summer) This year she plans to do this again, R12 (200K every month consecutively for a year), and do her first 1000K with the goal of PBP in 2019. She also loves gravel events, crit racing, and any century local event she can fit in the schedule. Lee is a Cat 2 cyclist who loves all kinds of riding bikes, from road racing to fat bike rides to a simple ride to a friend's to hauling furniture, food, or people via cargo bike. Lee also serves as one of the coaches for our juniors team. Lee races and rides all year round. Lee's favorite kinds of racing are cyclocross, road, gravel, and alleycats. Lee plans to race some track for the first time this year. An avid road cyclist and newer mountain biker, Jill is has been active in SPBRC for eight years and is a graduate of the beginning race program. She loves biking with friends, long distance road events, mountain biking, traveling with her bike and dabbles in TT racing. She helps coordinate winter indoor training for SPBRC. Mona discovered the joys of riding her bike about 10 years ago. After competing in a few triathlons and duathlons, she realized running was not for her knees. She joined SPBRC after finishing the Beginning Racer Program. She has enjoyed the on-the-road coaching of the many experienced riders in the club. She joined the board this year hoping to give back to the club. Someday when kids and work allow more time, she looks forward to road races. In the meantime, catching long-distance road rides around the cities, hitting the mountain bike trails and occasional MTB race, and riding with her family are her love. Connie is a Cat 3 cyclist primarily interested in road, time trial, and gravel events. She started cycling three years ago after she was told "no more running!" She is a professor at the University of Minnesota and mom to two kids (ages 15 and 20). Denise is a Cat. 2 cyclist on the Road and also races Mountain Bike, gravel, and off-road endurance events. Her main focus for 2016 is road with plans to do MN Mountain Bike Series marathons and gravel events. Having "grown up" in biking doing gravel and endurance off-road events since 2011, she has placed 2nd and 4th respectively the past two years at the Lutsen99er. She discovered the MN Mountain Bike Series marathons last year where she placed 1st in the first MTB marathon she entered. Commuting, training, racing on bikes - all of it makes her very happy to be part of SPBRC and Grand Performance Bike Shop!